Boat delivery can be a big question mark in your yacht buying process. You combed the classifieds and the dealer websites and found the boat of your dreams. You signed on the dotted line, the bank wired the funds, and now…you wait. And whether the wait is three days or three weeks, you anxiously wonder when your new boat will arrive and if the delivery crew is treating it with care. St. Barts Yachts knows that delivering your boat is too important to leave to someone you found on the internet. What if they don’t show up; what if they can’t handle your boat; what if they leave your boat in shambles? One mishap out on the water and your boating season may be finished before it begins. As the saying goes, when you hire monkeys, you get peanuts! 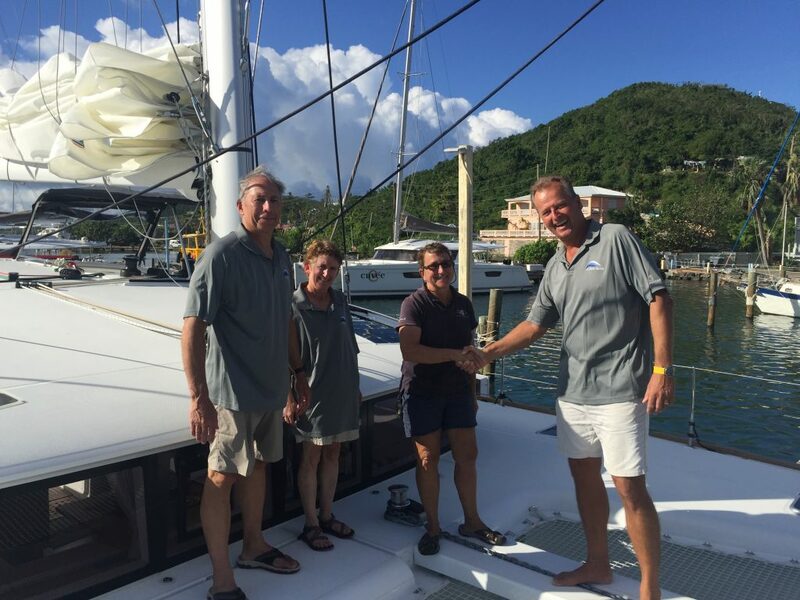 Skilled, professional boat delivery is also one more benefit of working with a broker like St. Barts Yachts. That “hand you the keys” moment of boat delivery is the culmination of a sales process that St. Barts Yachts strives to make as professional as possible. It’s a process we have worked hard to perfect, and we stand behind our results. Whether it’s a trip down the coast, up the Intracoastal or across the Atlantic, it takes time, planning and a skilled crew to get the boat from where it is to where it’s going. Only a Skipper and a crew that appreciates boats and boating as much as YOU do get the honor and responsibility of bringing your new boat into its new home port. Our Coast Guard-licensed Delivery Skippers are seasoned professional sailors with at least 10,000 offshore miles under their belts. Our Skippers have access to the newest technology in marine deliveries including offshore weather forecasting and satellite positioning, tracking and communications. We track and communicate daily with our Skippers providing real-time updates to put you at ease. Upon handover, you will receive a full detailed Skippers report noting all defects, issues and discoveries. St. Barts Yachts delivery crews are vetted, fully equipped and committed to getting your boat home. They are passionate about boating and truly excited to be out on the water. They understand the responsibility of being offshore and the importance of careful boat handling. Even though it can be hard, around-the-clock work, you should see the waiting list to work on a St. Barts boat delivery crew! The end result is a boat delivery that’s safe, professional and on time – hopefully, with no surprises. You can read more about St. Barts Yachts Deliveries on our website, as well as browse our selection of Beneteau sailboats and powerboats and our exclusive brokerage listings. At St. Barts Yachts, boat delivery isn’t the end of the relationship – just the end of the beginning!